sinkerbeam: kidstuff: Happy Mother's Day! Very pretty flower! And what a cute delivery person! Who wouldn't want both of those things for Mother's Day. 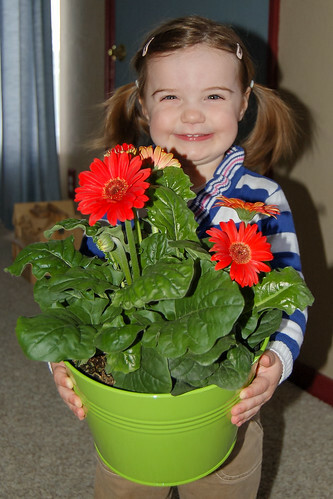 Now you can help Mommy water it and take care of her new daisy. I hope your Mother's Day was a good one. Love, Grandma C.